While not as intense as over the summer, drought conditions continue across the Finger Lakes. 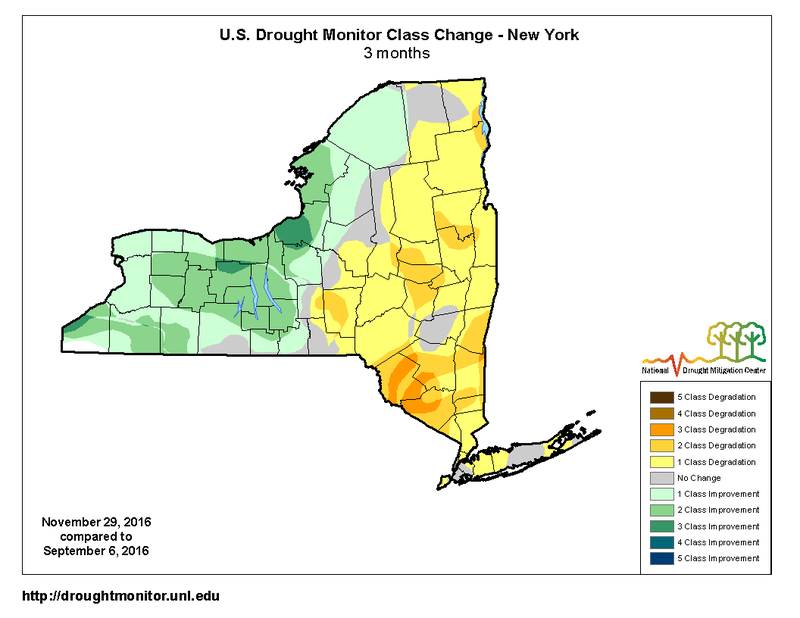 It has been a slow climb out of the drought that has plagued the Finger Lakes this year, but there is still a long way to go before the drought is erased. The first US Drought Monitor Report of December finally removed all Level 2- Severe drought from the Finger Lakes. As recent as last week’s report, a significant portion of the region was still in the severe classification, just one step down from the Level 3- Extreme drought of this summer. 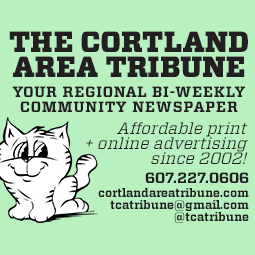 While the drought has had slow improvement over western and central New York, eastern New York has gotten worse and is facing a similar situation that the Finger Lakes was in this summer. In all, less than 5% of New York State is not considered to be in some sort of drought classification, and nearly 65% of the state is at least in the D1- Moderate Drought status. The current status of the drought in the Finger Lakes is similar to where we were situated in early July. 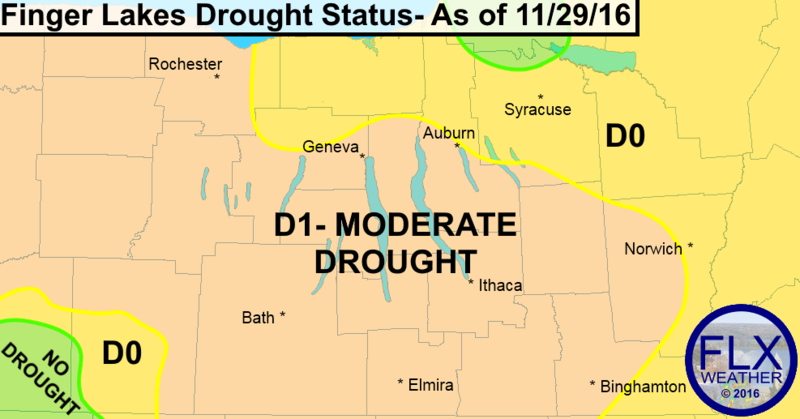 At that time, the majority of the Finger Lakes was in the moderate drought classification, with a few pockets in the Level 0- Abnormally Dry classification. How far behind normal is 2016 precipitation? For some parts of the Finger Lakes, deficits remain larger than 6 inches. There is still one more month to go in 2016, but the year as a whole has been very dry across the Finger Lakes. Precipitation over the course of the fall was generally near or just slightly above normal across the Finger Lakes. It was not significantly above normal, so some very large precipitation deficits remain across the area. 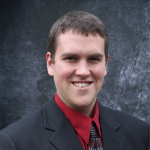 Most of the heart of the region remains anywhere from 6 to 12 inches below the normal amount of precipitation over the last eleven months. Parts of the northern Finger Lakes, central New York, and the Southern Tier are faring a bit better, with near to just slightly below normal precipitation. Since precipitation has been closer to normal over the last couple of months, many of the short term, visible signs of the drought have lessened. However, there is still a lot of precipitation to fall to have a full recovery, and another dry spell could send us right back into a serious situation in 2017. 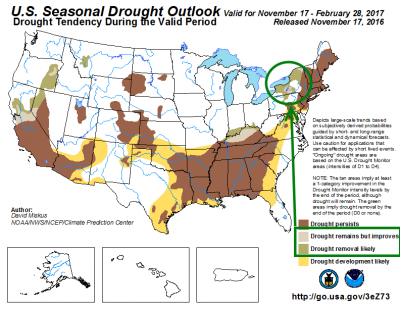 Thankfully, there may be continued drought improvement over the coming months. The Climate Prediction Center issued a drought outlook in mid-November that is valid through the end of February. In this outlook, they predicted that much of the region would see a removal of drought status. Their prediction shows the heart of the Finger Lakes remaining in a drought, but with improving conditions. This is consistent with other Climate Prediction Center predictions, which call for a continuation of our trend of near to slightly above normal precipitation over the course of the next three months. While I did not issue an official winter weather prediction this year (due to time constraints), my general feeling has been that we are in store for a fairly normal Upstate New York winter, with just a slight lean towards colder and snowier than normal. This idea seems to mesh well with the Climate Prediction Center expectations as well. In the shorter term, the weather pattern is expected to become more active all across the country as we head into the middle of December as cold air invades from the north. Only time will tell what such a pattern may yield for the Finger Lakes region, but at least the drought is heading in the right direction, for now.